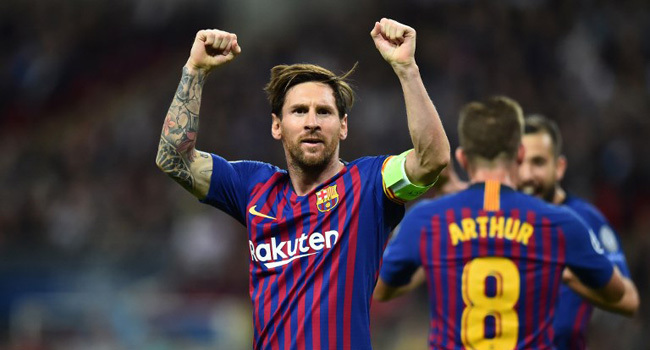 Paul Scholes says even Lionel Messi would struggle to shine in the current Manchester United team and that the struggling club is being laughed at by their rivals. The former United and England midfielder has been a frequent and vocal critic of his old club, who are languishing in eighth place in the Premier League — five points adrift of any other member of the “Big Six”. They had to watch Manchester City win last season’s title in record-breaking fashion and Pep Guardiola’s men are flying high at the top once more, alongside Liverpool and manager Jose Mourinho’s former club Chelsea. “That shouldn’t make any difference but it does,” Scholes told ESPN. “United now feels like Liverpool from years ago, like we’re making all the same mistakes as they did. “We were watching Liverpool and City from afar and smirking as they changed managers and players every year, never getting anything right. It feels like we have turned into a Liverpool or a Man City. Despite that, he has clashed with the club’s hierarchy over recruitment while costly signings including Alexis Sanchez and Paul Pogba have failed to flourish under his management. “I don’t think there’s a lack of quality there,” said Scholes. “I do think they miss a couple of real class players that other top teams seem to have — a link player between the midfield and the forwards and also a controlling midfield player. “It feels like every player who comes into the team struggles. I feel like we could sign Lionel Messi at the moment and he’d struggle in this team.